PowerMax Energy is a free, no obligation service provided by professional energy consultants. Since 2003 we have helped over 8,000 residences and businesses plan their electricity future. Our goal is to save Texans the most amount of money as possible on their electricity bills. 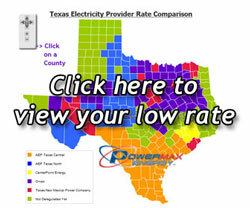 Fill out our residential or commercial Texas electricity planning questionnaire and let us help you find a local PowerMax Energy consultant to begin your energy savings rate today!